So far Amy&James has created 56 blog entries. 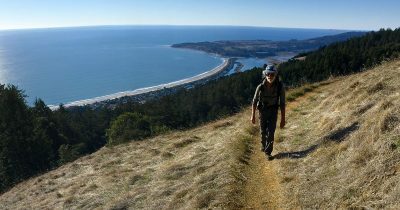 What: Four short backpacking trips. When: 2010-2015; (2-5 days each). 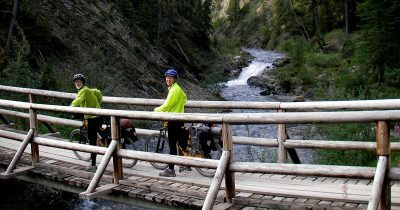 What: Great Divide Mountain Bike Route. Where: Banff Canada to Antelope Wells NM, then to Tucson. When: Aug 5 – Oct 2, 2007 (59 days). Distance: ~2865 miles GDMBR + 280 miles to Tucson. 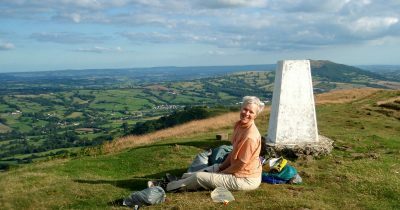 What: a circuit walk of Wales with an extension into the Cotswolds. When: Jul 15 – Aug 18, 2009 (35 days). 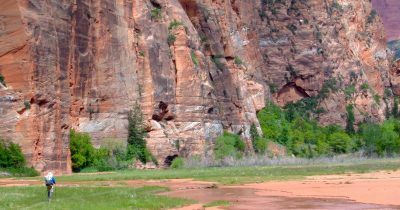 A comprehensive list of all the gear we carry that is not already covered in the other three Gear articles. This concludes the four-part series on gear. Includes models and rationale for unique or obscure items. 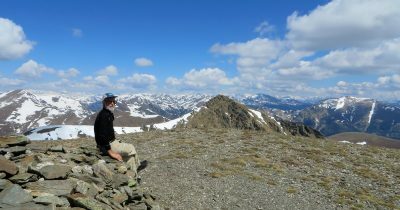 What: thru-hike of the Alpe-Adria Trail (AAT). Where: from Trieste Italy to Grossglockner Austria. When: May 2 to Jun 2, 2014 (32 days). 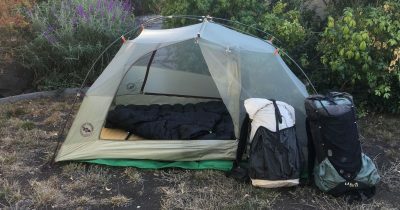 A list of our big items: packs, tent, sleeping quilt, and pads. Includes models, weights, and rationale. 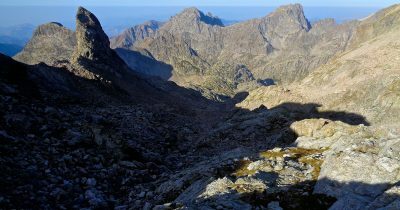 What: short backpacking trip in the Maritime Alps. When: Aug 15-20, 2017 (5 walking days). 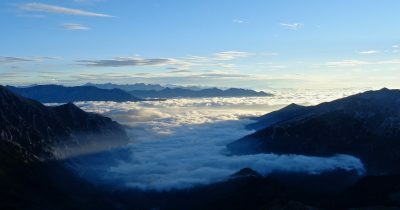 What: thru-hike of the Grande Traversata delle Alpi. Where: Western Alps. Primarily Italy; a bit in Switzerland and France. 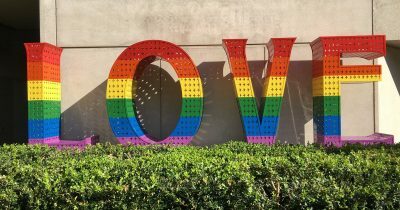 When: Jul 5 – Aug 14, 2017 (41 days). 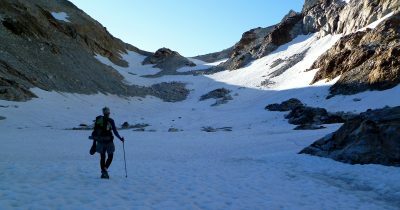 What: thru-hike of the Haute Route Pyrenees. Where: the border of France and Spain, from the Atlantic to the Mediterranean. When: Jul 8 – Aug 11, 2010 (35 days). 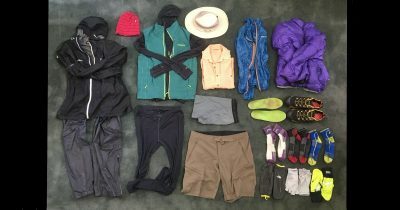 A comprehensive list of Amy's backpacking clothing, including models, weights, and rationale. 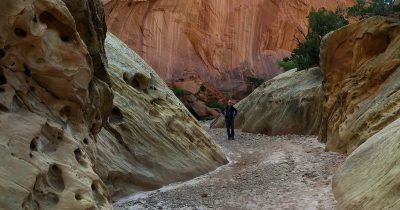 What: an on and off trail hike across southern Utah. Where: from Gateway, Colorado to Highway 56 on the Utah/Nevada border. When: Apr 18 – May 22, 2017 (35 days). Here are my ten favorite trips, ordered by distance from my home. The theme in this list is diversity.